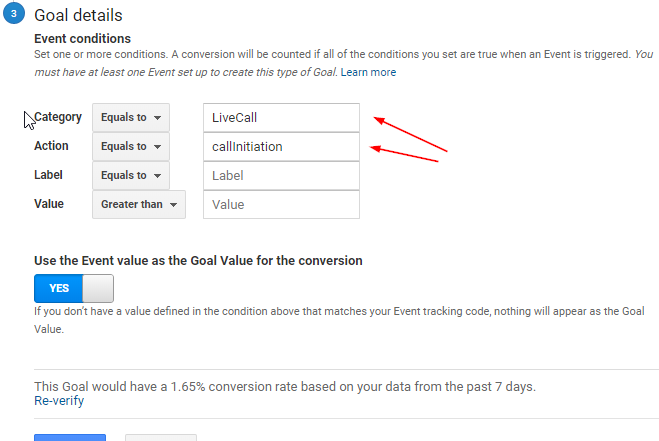 In order to track your visitors&apos; interactions with the LiveCall widget you will need to enable LiveCall events in your GA. Read about how to receive LiveCall events in GA in our article Integrating LiveCall with Google Analytics, or Tracking LiveCall events with Google Analytics (installed through Google Tag Manager). Add a new goal. For the goal setup choose "custom". Next, specify the goal detail. 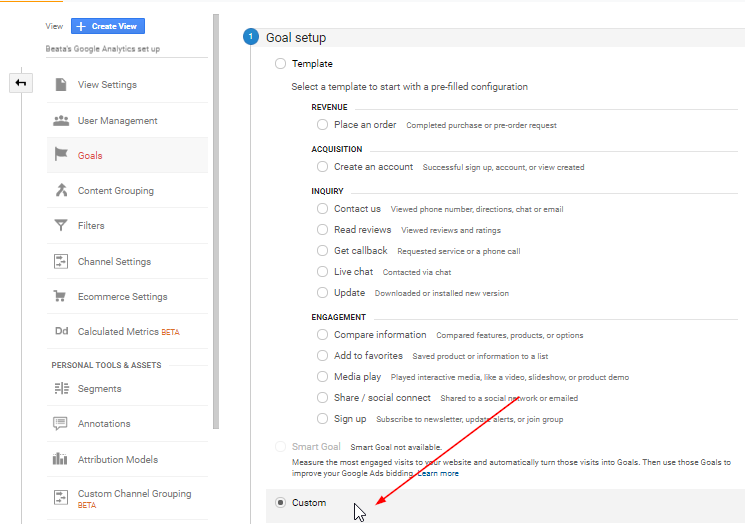 Set LiveCall as the Event Category and callInitiation as Action. Reaching this goal based on the callInitiation event will be equivalent to a visitor requesting a callback from your website. 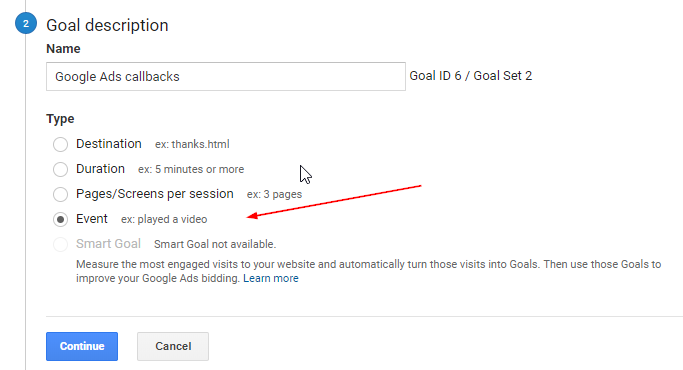 Go to Google Analytics Details and select the relevant Property and View from GA (make sure it is the same view where you configured the goal in the previous step), then press Save. Now go to Tools again and choose Conversions from the menu. Add a new conversion by clicking the blue "+" icon. 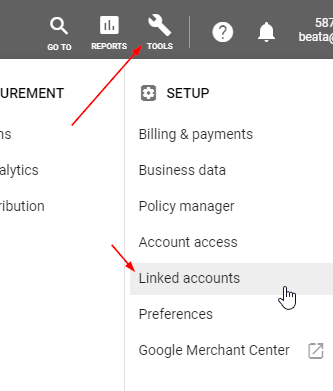 Import conversions from Google Analytics. 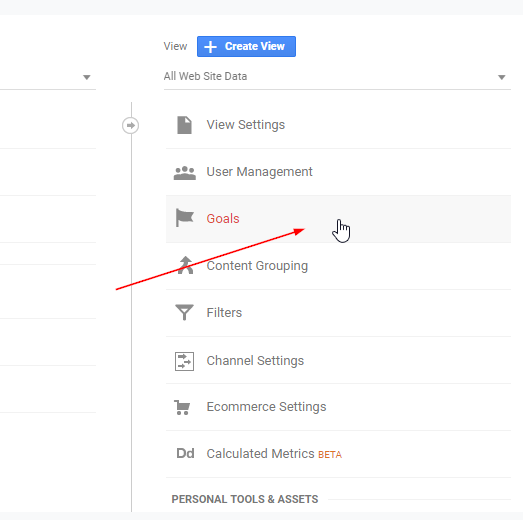 Choose which goal from your Analytics account you want to measure conversions of (this will be the Name you chose for your Goal Description in Analytics). After that, the conversion set up is complete and visible in the Conversion Actions panel. By clicking on your conversion there, you can change the default settings that Google Ads used. Please note, according to Google it may take up to 9 hours to import data from Analytics to Ads. You may not see the conversions in your Ads panel straight away. 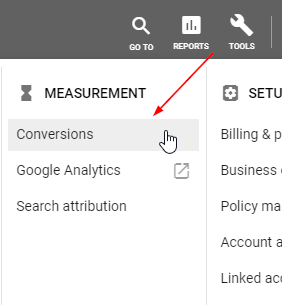 The goal conversions set up in Analytics should be visible straight away.